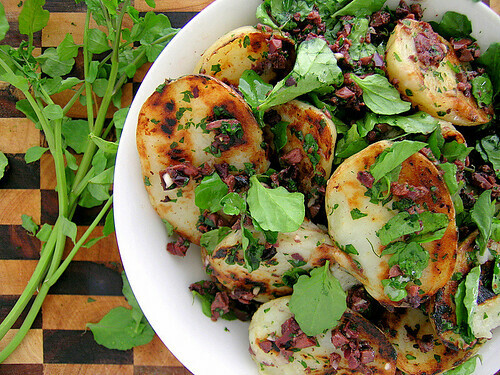 Not your average potato salad! Boiled potatoes are cut in half, then fried, cut side down in a frying pan. The potatoes are then tossed with a dressing made from olive oil, finely chopped kalamata olives, garlic, and parsley, then watercress is stirred though. Best enjoyed warm, but tastes great cold too! Inspired from the December 2010 issue of delicious. magazine. Read more at The Sweetest Kitchen..